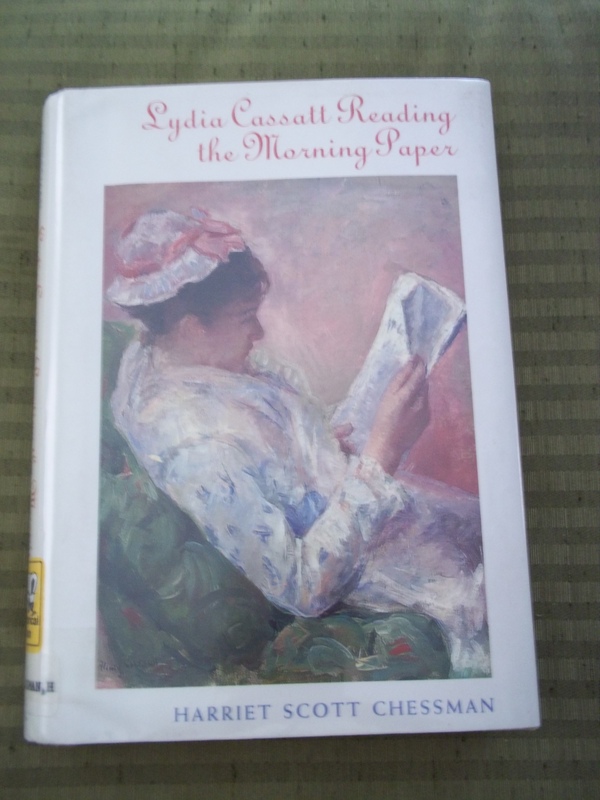 Lydia Cassatt Reading the Morning Paper (2001), an historical novel by Harriet Scott Chessman, ushers us into the poignant world of the Cassatts: Mary (1844–1926), the Impressionist painter and printmaker and Lydia, her older sister ill with Bright’s disease. Within the author’s writerly process, marked by stillness and a deep sense of the feminine, emerges the central image of attentive waiting: Mary, for the nudge from her unconscious for her next portrait; Lydia, for the significance of her simple life to surface from the ravages of her terminal disease. It is through Lydia’s voice, spoken and imaginal, between 1878 and 1881, that we follow the artistic rendering of five portraits for which she poses for Mary’s brushstrokes, nuancing her substance in tingling oils: a contemplative woman dressed in floral pinks reading, embroidering, crocheting, smiling over her tea cup, and driving their carriage. The insertion of glossy plates further enhances this creative process. From the sisters’ shared stillness, though, comes the quickening, the ultimate spark of meaning coloring their imaginations and deepening their unique gifts: the extroverted Mary and her vigorous engagement with the nineteenth-century art world in Paris, France; and the introverted Lydia and her touching life review with its acceptance of mortality. Beneath the painterly words of this imaginative story exudes the numinous for those still enough to glean its beauty. We are refreshed.